Pack your bag and get set for a whirlwind trip around the world with special stops in Mexico, Scotland, England, France, Italy, Africa and Japan. Learn more about our neighbors across the globe as we celebrate tradition and community. 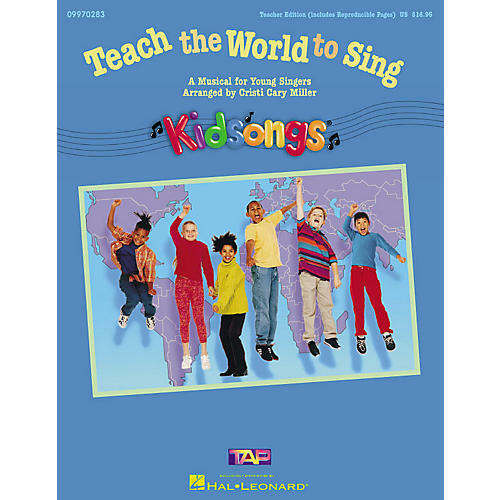 Enjoy some of your favorite sing-a-long songs from childhood with this musical for primary grades from KidSongs. The handy all-in-one Teacher Edition includes seven accompanied songs, easy rhyming dialog, simple choreography, reproducible songsheets, staging and costume ideas. Songs include: Los Pollitos, Did You Ever See a Lassie? London Bridge, Frere Jacques, Funiculi Funicula, Sakura Sakura, Kumbaya.